Portable Spot Cleaner with a handheld motorised brush for deep down cleaning No more carrying. Comes with wheels and a new retractable handle that allows you to effortlessly wheel the machine to the stain... and back! Size of machine allows easy storage.Ideal IPX4 Splashproof Rated For Outdoor Use In Cars, Caravans and Boats Ideal For Families and Pet Owners! 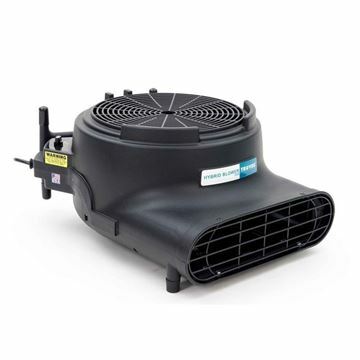 Compact design, lightweight and powerful carpet dryer that significantly reduces drying time of carpets, walls and ceilings, and is ideal for use after floods, spillages or extraction cleaning. The true "all in one" machine that is totally at home be it in the wet or the dry. This classic "all in one" is genuinely the family friend, dry vacuuming, wet vacuuming, scrubbing and drying hard floors, deep cleaning the carpet, cleaning the upholstery, unblocking the sink, you name it, George is your man. 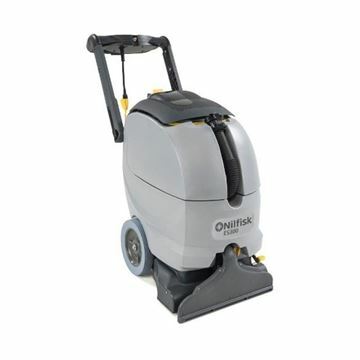 The Bissell BG10 provides commercial deep cleaning, done right, done fast and for a great price! The Bissell BG10 is ideal for cleaning large carpeted areas, providing a big fix for a big mess. The machine uses two powerful motors and a patented DirtLifter power brush to get your carpets looking clean and brand new. 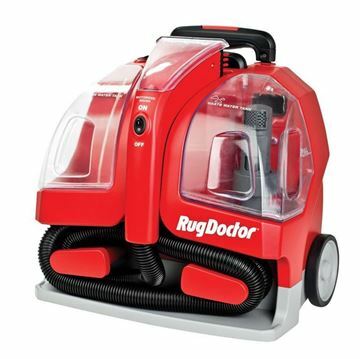 The BG10 has two large capacity water tanks, and adjustable handle and and easy-clean brush roller included. Need to reach a long way with your carpet cleaner? No problem the BG10 has a huge nine metre extension cord, allowing you to clean long corridors in hotels without the need to keep unplugging and replugging in your machine. The Rug Doctor Mighty Pro gives professional results at an affordable price. This carpet cleaning machine, is a very sleek designed unit which maximizes economy and portability. The scuff-resistant granite finish Steempro Powerflo is the ideal carpet soil extractor for residential and commercial carpet and upholstery cleaning. The durable and reliable Steempro Powerflo incorporates a 3-stage vacuum and 120 psi diaphragm pump. Professional carpet & upholstery cleaning machine. The Steempro Powermax combines dual 3-stage vacuum power with a long life 150psi induction diaphragm pump. Prochem's state-of-the-art self-contained carpet soil extractor provides unequalled features for the institutional and commercial carpet cleaner. 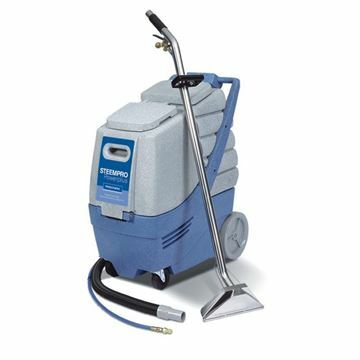 With the ES300 Nilfisk has entered a new era of carpet cleaning. This machine is ideal for cleaning your high and light traffic carpeted areas and not only remove dirt and water, but the machine also meets the highest standards to extend the life or your carpets. Besides its great productivity and cleaning performance the ES300 is easy to operate. Professional carpet & upholstery cleaning machine The big brother to the popular Steempro Powermax, the Steempro Powerplus has the extra capacity and new 220 psi pump to tackle the really big jobs quickly and professionally. Upright self-contained power brush carpet & upholstery cleaning machine Prochem's state-of-the-art self-contained carpet soil extractor provides unequalled features for the institutional and commercial carpet cleaner. The Polaris 800 has the cleaning power to tackle large open areas, yet handle like a lightweight.